David A. Shlapak and Michael W. Johnson have made one more study on the Baltic Sea security and also once more repeated familiar misjudgements. As leaked before multiple games tell us that attacking Russian forces would take over the Baltic states in 2-3 days, and NATO would have just bad options to respond. Therefore the small units on the ground are not enough to guarantee the NATO or US commitments. A presence of seven brigades is needed. Even that is not enough, but “this deterring posture” “would fundamentally change the strategic picture from Moscow”. So Shlapak and Johnson ask us to forget the real world. Just think the tanks. But what is this Baltic Sea region? It covers ten states and economies of 90 million people many of them Russians, as well as some 15% of global maritime traffic. Some 1500 cargo ships navigate every minute on the Baltic Sea. This includes also 40% of total Russian exports with some 16 tankers and large number of other cargos every day – making directly possible the economy of the second largest city of 5 milj. people in Russia. So we have two RAND analysts, who tell us that one morning president Putin wakes up and tells his generals that this day we start by shooting our own leg by putting our economy to crisis, especially the St Petersburg region. It woud be useful in the RAND to take a serious real life look at the Baltic Region. During the Cold War or immediately after it Northern Europe did not make many headlines in security policy. 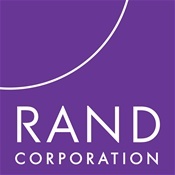 However, it is true that recently there has been certain escalation of military exercises and also some alarmist commentaries like that of the RAND corporation. Therefore it is useful to have a look at the fundamentals of the region. Watching the Northern strategic map from the West, you can see like also Zbigniew Brzezinski in a Senate Committee hearing the Baltic states as isolated territories next to Russia, easy to take over and difficult to take back through "Normandy like" operation from the West. And from this local fragility you can calculate certain strategic vulnerability of NATO as a whole. Needless to say that any crisis on the Baltic Sea is not just a tango for two. You are dealing with a region of some 90 million people in ten countries and the exports and imports of their economies on a sea, where every day some 1500 vessels transport different kinds of cargos. First, whatever the problems in different parts of Europe or of the world it is a common interest from St Petersburg to Hamburg as well as to all relevant capitals to keep Northern Europe out from any horizontal escalation from any other region. As repeatedly stated by the President of Finland, Mr. Sauli Niinistö , an active stability policy to strengthen the North European stability is in everybody's interest - and it is expecting also pro active initiatives.